The drugs responsible most frequently for serious immune suppression are listed in Table 25.4. The exact amount of systemic glucocorticosteroids and the duration of administration needed to suppress immunity are not known. Controlled randomised studies indicated that the rate of infectious complications in patients given a daily dose of less than 10mg prednisone or a cumulative dose of less than 700 mg prednisone was not increased compared with that of controls. As a general rule, it is accepted that immune suppression caused by drugs continues for 3 months after the drugs are stopped. It should not be forgotten that these drugs are often prescribed in diseases with an inherent immune deficiency. 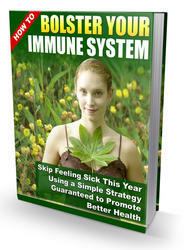 In general, all of them have the potential to cause serious immune suppression. With patients using them for a short period, postponement of travel should therefore be discussed. Live attenuated vaccines cannot be administered to patients using drugs that cause serious immune suppression. These vaccines may induce disseminated infection. Therefore generally BCG, MMR, yellow fever, oral typhoid fever and oral polio vaccines are contraindicated. Not all drugs of this type cause immune suppression to the same extent, and much depends on the dose and the duration of treatment. The literature does not provide good data. 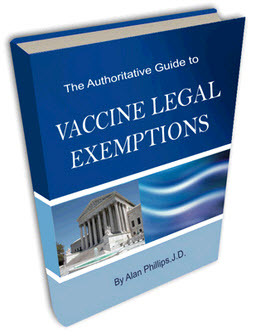 The use of live vaccines should therefore be applied with common sense. A 24-year-old nurse was engaged at short notice to start work for a nongovernmental organisation (NGO) in a malarial area of Ethiopia. Her parents' general practitioner, who was not aware of her personal medical history, gave pretravel advice. She was given adequate malaria prophylaxis, consisting of mefloquine and the usual vaccines for a healthy traveller. Two weeks after arrival at the site she experienced the first of several prolonged periods of febrile illness. Plasmodium falciparum was diagnosed once and treated, and a second time treated as such without laboratory investigation. Recovery every time, however, was of limited duration. After a short recovery she was treated for pneumonia, which was diagnosed on physical examination. After a stay of 4 months she still experienced physical unfitness and was unable to work. At this time she was fully examined by the visiting doctor of her NGO. He noted a large abdominal scar. On questioning she mentioned a laparotomy because of intra-abdominal bleeding after a motorcycle accident at the age of 11. The physician decided to repatriate her. On admission to a hospital of tropical diseases in her native country she was found to have no spleen. Pneumococcal pneumonia was diagnosed. She also had serologi-cal evidence of a recent Epstein-Barr viral infection. On the planned day of hospital discharge, 3 weeks after arriving from the endemic malaria area in Ethiopia, she developed rigor and high fever. Her blood film showed P. falciparum trophozoites. protection with specific immune globulins is possible in case of the risk of infection. Patients receiving these drugs do not run a higher risk of contracting malaria. A 57-year-old man is planning to make a trip through Southeast Asia. 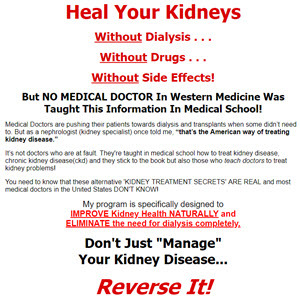 At the age of 50 he developed a nephropathy with proteinuria due to Henoch-Schonlein disease. He gradually developed end-stage renal insufficiency for which, after 2 years of dialysis, he received a kidney transplant. Since the transplant 1 year ago, he has been treated with mycophenolate mofetil (500mgt.d.s.) and prednisolone (10mgo.d.). He is in good general condition with only an unchanging mild renal insufficiency. He is advised to have malaria prophylaxis with mefloquine, in adjusted dosage according to the level of renal insufficiency. Mefloquine does not interact with mycophenolate mofetil or prednisolone. He had a diphtheria-tetanus and polio booster 8 years ago just before the onset of the kidney problem. He is advised to have vaccination against typhoid fever, and antibodies against hepatitis A are also measured. In the case of a negative serology result, immunoglobulin will be administered just before departure, as this will avoid the problem of insufficient antibody response after hepatitis A vaccine. He receives instructions about the use of antibiotics in the case of invasive diar-rhoeal disease. Japanese encephalitis could be a risk because of his itinerary. As there are no data on the safety of the live attenuated Japanese encephalitis vaccine, he is instructed to take antimosquito measures.